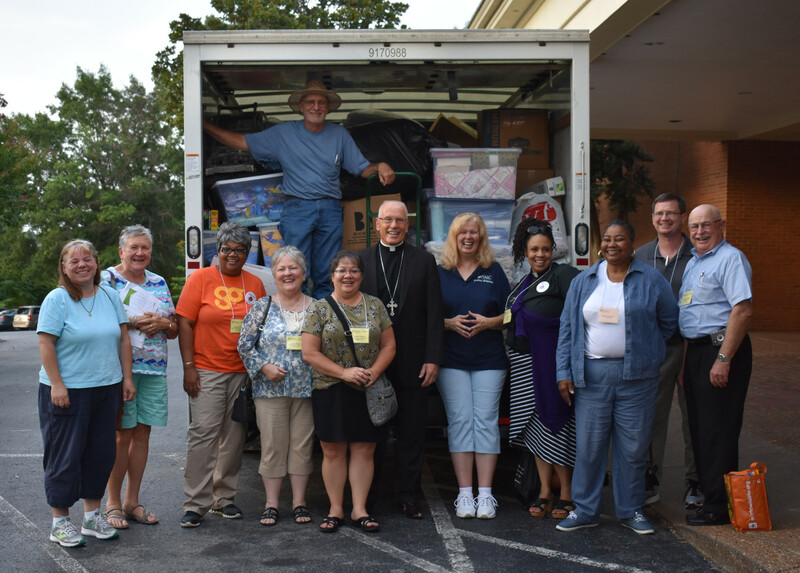 The North American Lutheran Church’s (NALC) Mission Festival continued in Nashville, TN, on Thursday. The Rev. 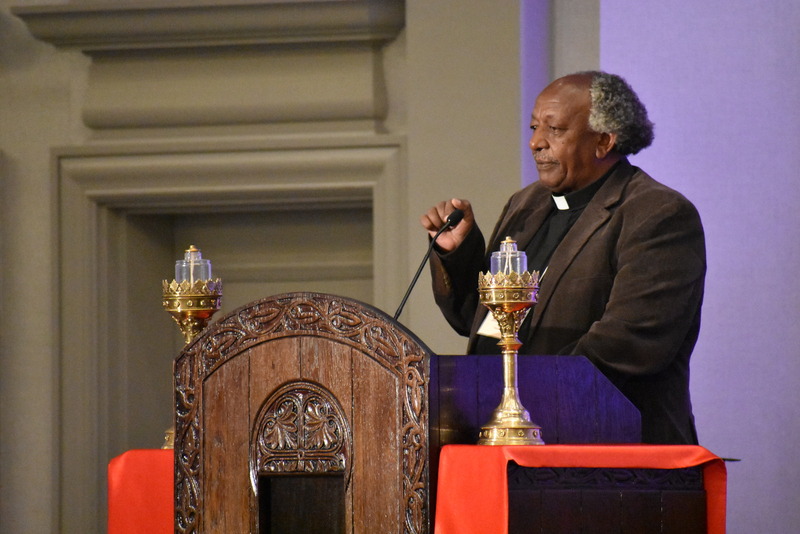 Dr. Joseph W. Parsalaw of the Evangelical Lutheran Church in Tanzania brought the keynote address on “The Shape of Congregational Life in Tanzania Today: Blessings and Challenges.” Breakout sessions followed on a variety of mission and discipleship topics. The Rev. Dr. Gemechis Buba delivered the second keynote address of te morning, concluding the 2017 NALC Mission Festival at Noon. The 2017 NALC Convocation began with a Festival Eucharist observance of the 500th Anniversary of the Reformation and the official opening of our convocation. 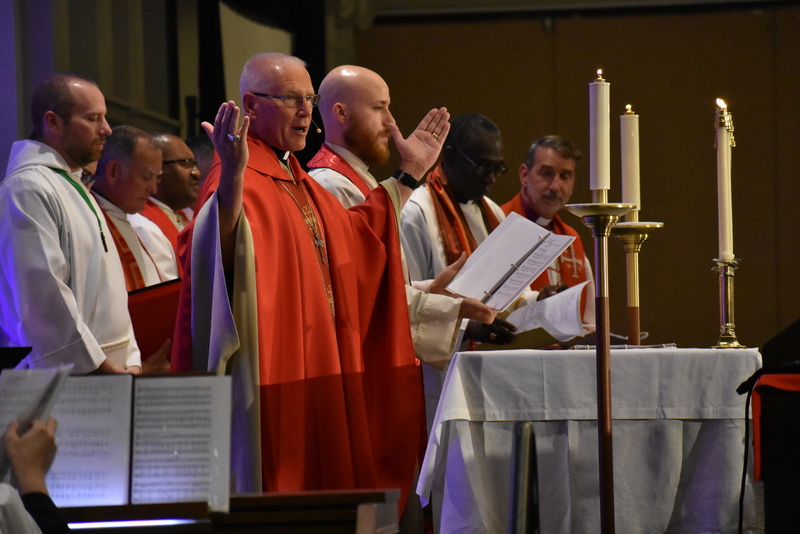 Business ensued, including voting, reports, introductions of guests, the Bishop’s Report, and recognitions of ordination anniversaries, chaplains, seminarians, and new pastors. 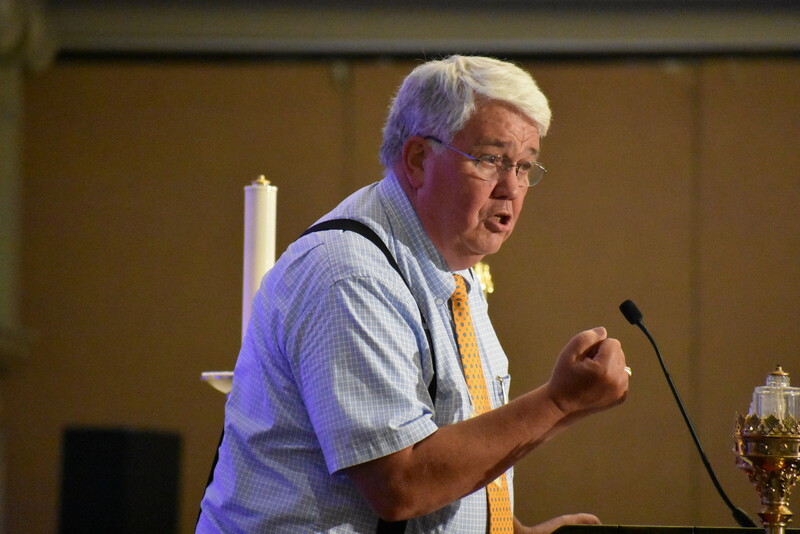 In the midst of business, Dr. James Nestingen delighted the Convocation with the first Keynote Bible Study Address, focusing on, “Work out your salvation with fear and trembling” (Phil 2:12). 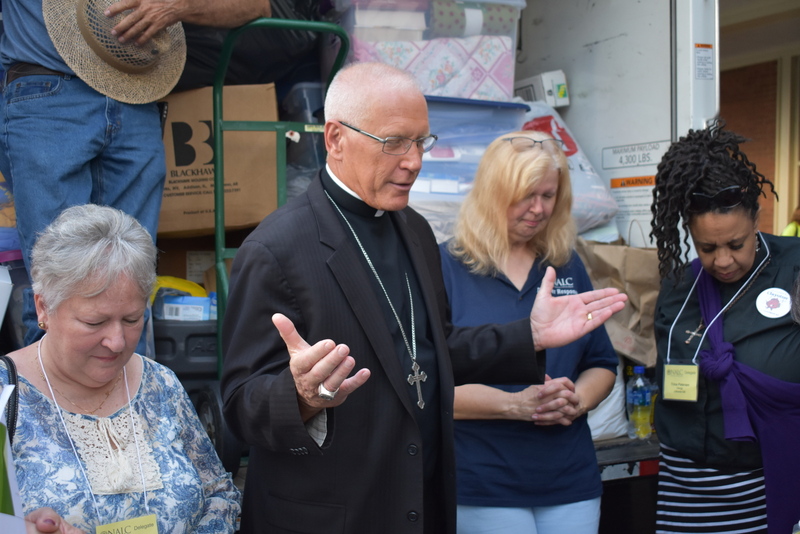 Following the events of the day, Bishop John Bradosky met with representatives of NALC Disaster Response and Women of the NALC to rejoice and pray over their Stuff the Truck event. Thank you to all who made this such a successful endeavor. 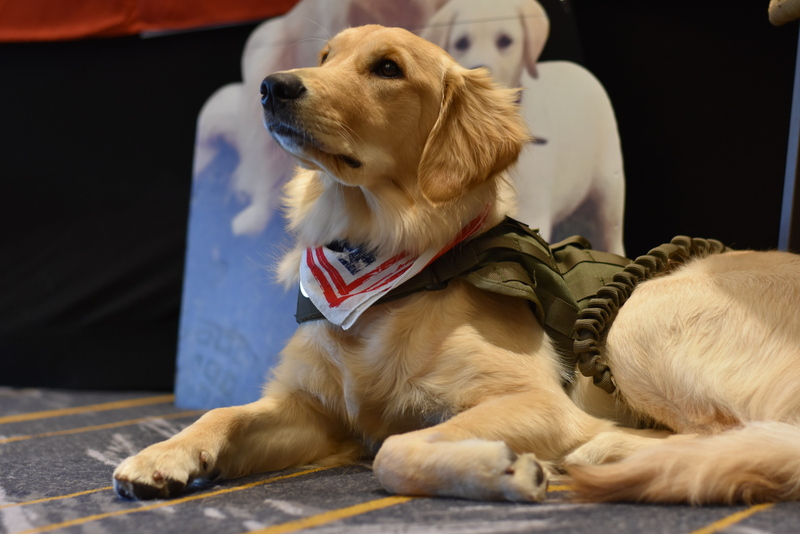 Lily Bell, featured on today’s homepage slider, is the new service dog for Lutheran Military Veterans and Families Ministries, one of our many missions, ministry partners, and vendors in the display area for Lutheran Week.